A lightning fast reaction game for 3-7 players ages 4 and up. Playing time: about 10-15 minutes. 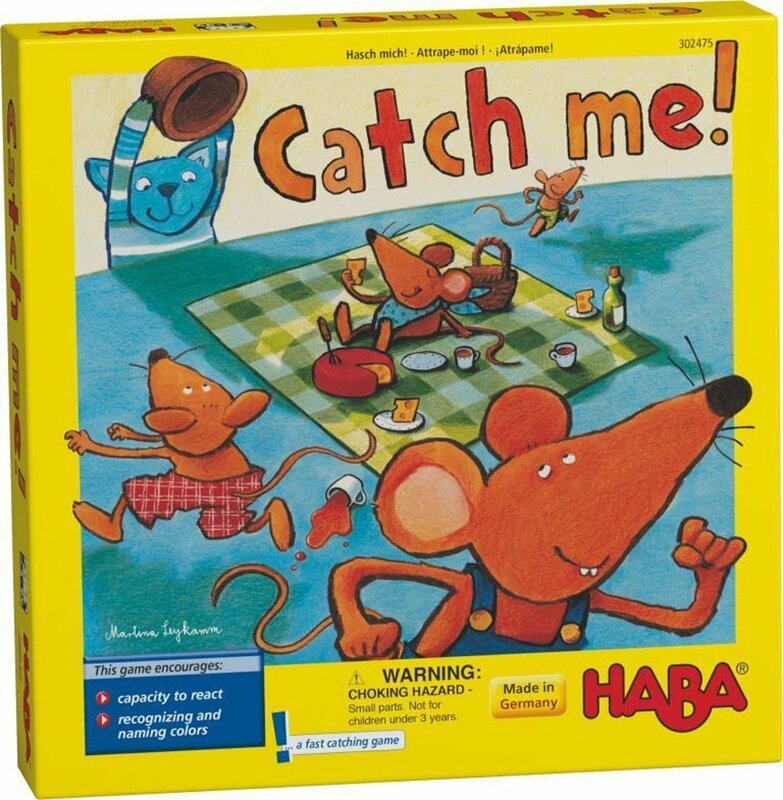 With two different game variations, this classic game full of silly fun has been published by HABA since 1955! One player becomes the cat, while the others are the mice. The cat rolls a die with 6 different colors on it and then attempts to "catch" the corresponding player's mouse with a little wooden cup. 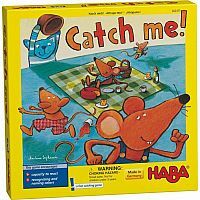 The player whose mouse was caught, now becomes the cat and the game repeats. A classic game, full of silly fun! In order to avoid smooshing of little fingers, each mouse is connected to a sturdy cord. Quality game components include: 6 colorful wooden mice with strings attached, 1 wooden cup, 1 color die, 1 regular die and game instructions. Made in Germany.